WHAT if I tell you that there is a facial treatment that could give you smaller pores, extra hydration, brighter skin, and reduced fine lines? ONLY, it takes LESS time than a facial. Now THAT is GOLDEN! Introducing, AQUAGOLD aka the “super mega facial.” This mythical skincare treatment uses the same technology as skin needling or more commonly known as microneedling. However, AquaGold, or AquaGold Fine Touch, is a step up from traditional microneedling procedures, dermal fillers or injections. As the name suggests, the device is made up of 24 karat gold needles (hence the “golden” moniker), each smaller than a hair follicle. These nearly microscopic needles painlessly create very tiny open surfaces in the skin to deliver anti-aging and skin refining treatments deep into the dermis. The procedure also covers a larger treatment area, and since the solution or serums are delivered directly into the dermis, the skin absorbs them more effectively as opposed to them passing through a single syringe. Fancy, right? But is it safe? Yes! Most definitely. In fact, many patients choose to use the AquaGold Fine Touch microneedling system on their face, neck, or chest. Since the needles are coated in gold, they are less likely to cause irritation or allergic reaction. The tiny microchannels close within one hour, so post-procedure infections are extremely rare. And since the epidermis remains intact, it makes it even safer. Which is why this is often performed in areas where laser treatments and deep peels are not typically done. There is no need for any anesthesia or even topical numbing cream. The needles are hollow, so the concocted contents of the vial are carefully transported underneath the skin for maximum efficacy. The procedure starts with cleaning the skin. Then the chosen solution or serum is inserted into the AquaGold Fine Touch device. It is then applied to the treatment area for the needles to work their magic: penetrating the skin and painlessly delivering the beneficial ingredients, vitamins and drugs like Botox directly below the epidermis (the surface) of the skin without any bleeding. The entire procedure takes less than 30 minutes and involves no downtime or recovery (although some patients may experience some redness and slight swelling at the treatment site for a few days). The entire process would leave you feeling refreshed and relaxed. It’s like having your usual facial treatment – only better. Women who suffer from dilated pores would benefit from this technology. Although there are skin products that have been made to shrink pores, they would only improve the size of the pores by so much, still giving the appearance of enlarged pores. This is where Aqua Gold Booster Treatment comes in. The technology specifically treats enlarged pores. It is designed to get into almost every inch of the skin with an extra focus on the more problematic areas like enlarged pores and acne scars. Since it delivers the maximum amount of ingredients into the skin, the more surface area is covered. AquaGold painlessly and effectively delivers bioactive compounds into the skin, avoiding common complications associated with other traditional techniques. I talked more about this treatment in our “Adobo Nation” segment featuring veteran actress Hilda Koronel. In the segment, we also discussed the different solutions or serums that can be used on AquaGold. These solutions include: Hyaluronic acid (Restylane or Juvederm), which helps achieve smooth skin; Micro Hyaluronic gel is used to improve superficial acne; Neurotoxin (Botox or Dysport) are used to shrinks pores; Growth Factors is for cellular renewal and to enhance laser treatments; and Micro Pigment Reducers help achieve brighter skin. There are a number of concoctions that you can mix into the vial that matches your specific needs. As I’ve previously mentioned, each treatment can be customized. My clinical staff takes a close look at our client’s skin first to see what solutions they would get the most benefit from. Not all treatments are created equal. 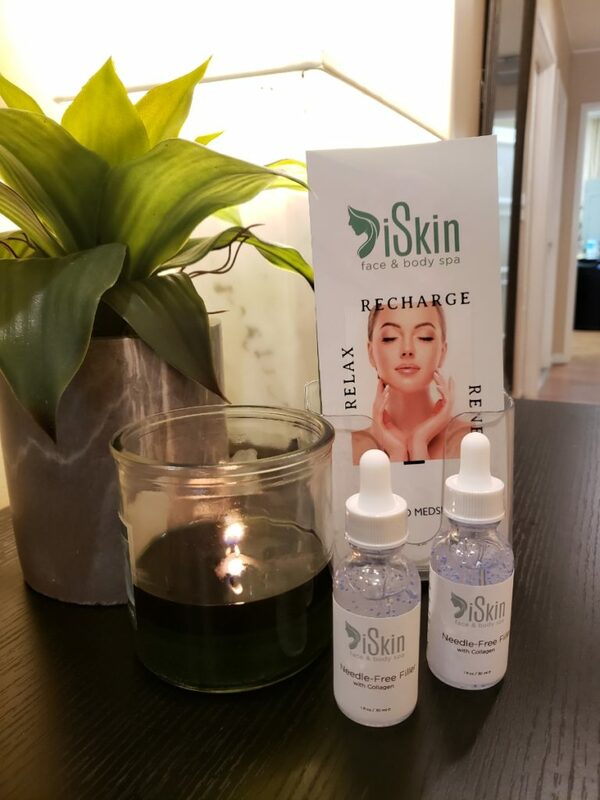 For a customized treatment plan, I highly recommend that you head over to Image Spa MD or iSkin to discuss your skin situation and get the best mix of solutions that are prepared specifically for your skin. So what makes this super mega facial so “golden?” For starters, there’s actual gold involved. More importantly, instead of requiring multiple procedures, you’re getting one customized vial mixed with everything you need to solve your skin problems in one quick facial. All things considered, this treatment saves time. As the saying goes, “time is gold.” And so is this. iSkin is located at 8709 Beverly Blvd, West Hollywood, CA. Image Spa MD is located at 9227 Haven Ave. Suite 120 in Rancho Cucamonga and 499 N El Camino Real, suite c-200, Encinitas, CA. 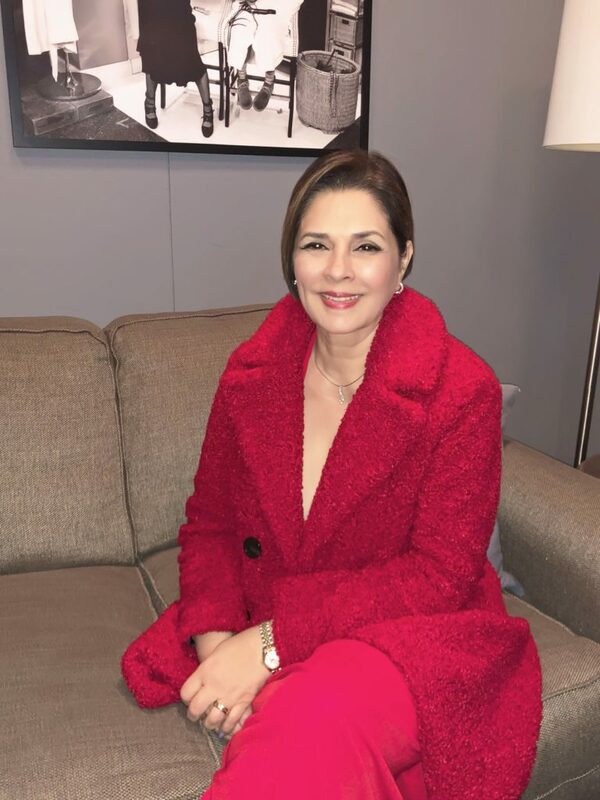 Imee is an established aesthetician, a business owner and a managing partner for Image Spa MD and CEO of Image Body SPA. She has a degree in Biology and Doctor of Dental Medicine. Image Spa is now one of the most reputable medical spa facilities in LA and has branches in Rancho Cucamonga and Encinitas for Image SPA MD and Image Body SPA-West Hollywood. Imee has been in the aesthetics industry for over 20 years.